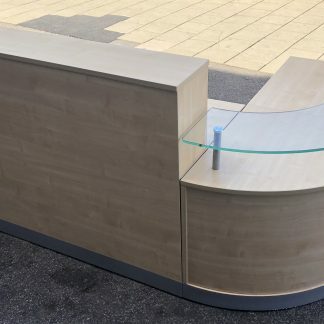 I have several excellent banks of office desks available. 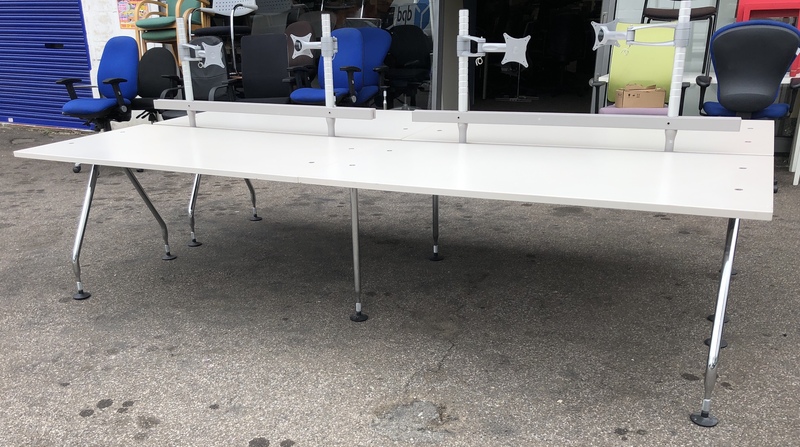 Made by Vitra and designed by Antonio Citterio with the distinctive polished chrome legs, these are stunning desks for the commercial industrial market. 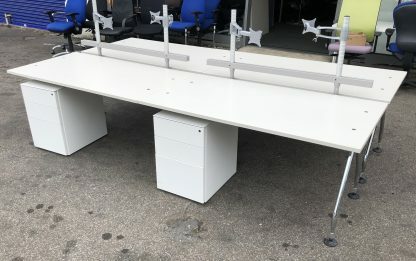 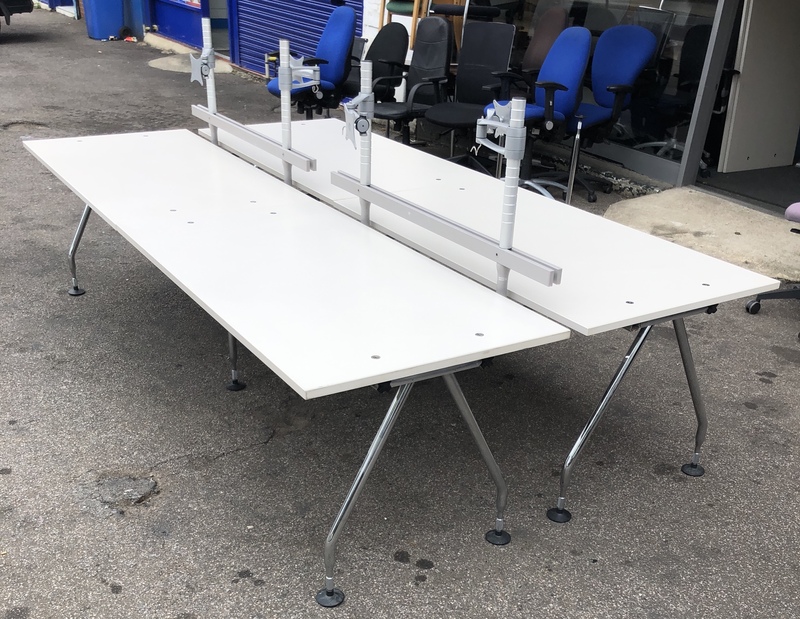 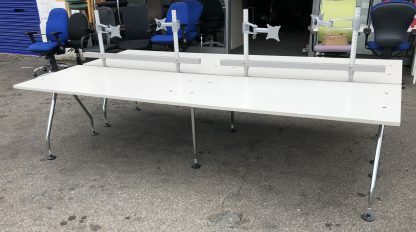 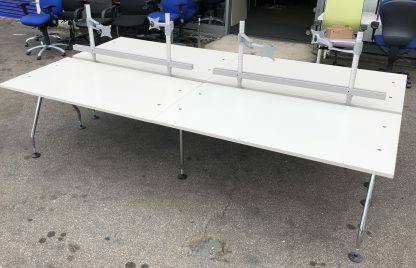 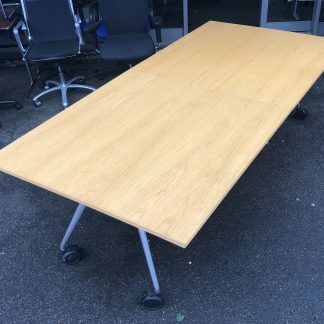 The desks are in great used condition, strong durable and ideal for setting up office. The surface of the desks are a light grey melamine finish, which is both clean and attractive. 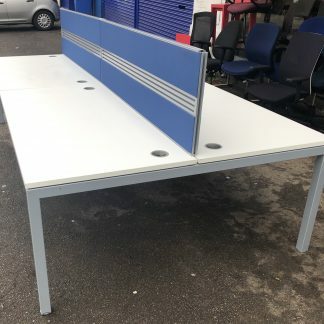 Yes there is the odd cosmetic mark on the desks, the odd dent or scratch as they are used, but really nothing of any note. 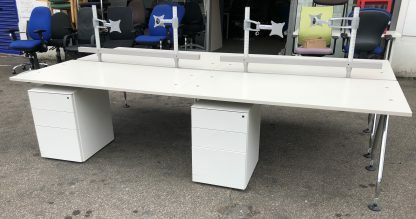 I also have white metal 3-drawer mobile units available with 2 stationery drawers and 1 filing drawer if required. These are available at £25 each if needed, let me know to amend any invoices. 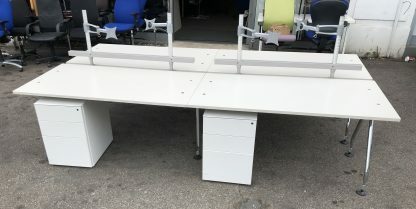 The desks are being offered are a bank of 4, they cannot be configured in any other way.